Some people develop fallen arches because they tend to pronate, or roll inwards on the ankles, says the Instep Foot Clinic. Other people may simply have under-developed muscles in their arches. Your arches help your feet bear weight and are supported in this job by muscles and tendons in your feet and ankles. So, while fallen arches aren’t usually serious, they can cause pain in your feet, ankles, knees and/or hips due to your reduced weight-bearing ability. In these cases, treatment may be required. Orthotics that sit in your shoes and support your arches are a common solution, as are exercises to strengthen and stretch your feet and leg muscles. Sit up straight in a chair with your feet flat on the ground. 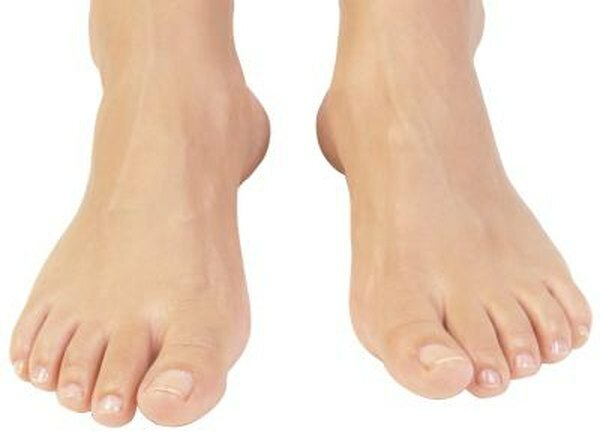 Scrunch up the toes of one foot as if you are trying to grab hold of the floor then use your toes to drag your foot a small distance forwards. Do this a couple of times on each foot, but don’t use your leg muscles to push your foot forward -- the movement should come solely from the muscles in your feet. Sit in a chair and place a cleaning cloth, towel or small ball on the floor at your feet. Use the toes of one foot to grasp the object and lift it off the floor. This action will require you to clench your toes and contract your arch. Once you have lifted the object a little way off the floor, try to throw it in the air and catch it by stretching your toes and arch out and upwards. Repeat the exercise several times on both feet. Sit on the floor with your legs straight out in front of you then bend your knees out to either side and place the soles of your feet together so your legs form a diamond. Hold on to your ankles and, keeping your heels together at all times, separate your feet so your toes point out to either side. Open and close your feet in this way several times, making sure your little toes stay in contact with the floor throughout the exercise. Starting in the same position, try separating your heels, keeping your toes together at all times.